Prayer is a lonely business. Especially those middle of the night prayers, when the world is asleep, and we are awake. Our hearts grow faint when darkness looms loud and the sky seems an impenetrable ceiling. How long will you continue to pray? Sometimes he’s the snake in the garden. Did God really say . . .
Other times he’s a ventriloquist, using Job’s wife as his puppet. Curse God and die. Our ears fill with tears, reservoirs for the streams that leak from our eyes unchecked into salty puddles. We lie there, frightened, paralyzed by what if’s and the worst possible scenario, some of which has already come true. Our minds defeat us before we breathe our first prayer, and we gasp our pleas to an almighty God whom we’ve rendered powerless by our lack of faith. “But when he asks, he must believe and not doubt, because he who doubts is like a wave of the sea, blown and tossed by the wind. That man should not think he will receive anything from the Lord; he is a double-minded man, unstable in all he does” (James 1:6-8). “. . . but the boat was already a considerable distance from land, buffeted by the waves because the wind was against it” (Mat. 14:24). And the waves threaten to drown us, and the sea rages around us, and the sky is inky black. Yet it was in that fourth watch of the night—the most profound of darkness—that Jesus came to them, walking on the lake, because even mustard seed faith is enough to summon the Lord of the seas. "Take courage!” he calls, “It is I. Don't be afraid." 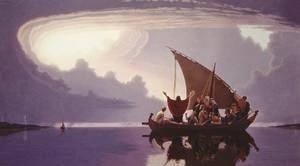 "Lord, if it's you," Peter (and we) reply, "tell me to come to you on the water." Then Peter got down out of the boat, walked on the water, and came toward Jesus. But when he saw the wind, he was afraid and, beginning to sink, cried out, "Lord, save me!" And our fledgling faith steps falter, and we sink flailing into the sea. If you’re weeping in the darkness and drowning in the sea today, take comfort. The wind and the waves obey our Lord’s command. Satan is a defeated foe who trembles at his name. And the prayer of a righteous man is powerful and effective (James 5:16). 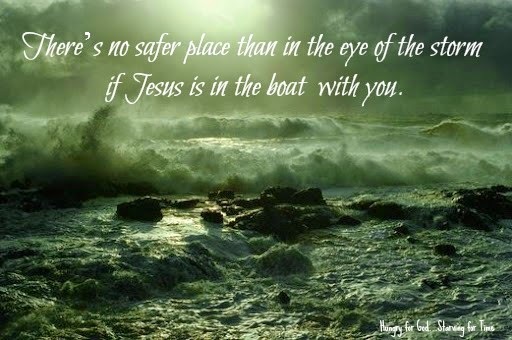 Pray on, dear friend, and rest in the knowledge that there’s no safer place than in the eye of the storm if Jesus is in the boat with you. "When my life was ebbing away, I remembered you, Lord, and my prayer rose to you, to your holy temple. Those who cling to worthless idols forfeit the grace that could be theirs. But I, with a song of thanksgiving, will sacrifice to you. What I have vowed I will make good. Salvation comes from the Lord" (Jonah 2:7-9). What storm are you facing today? If you’ll leave your name in the comment box, I’d like to pray for you. 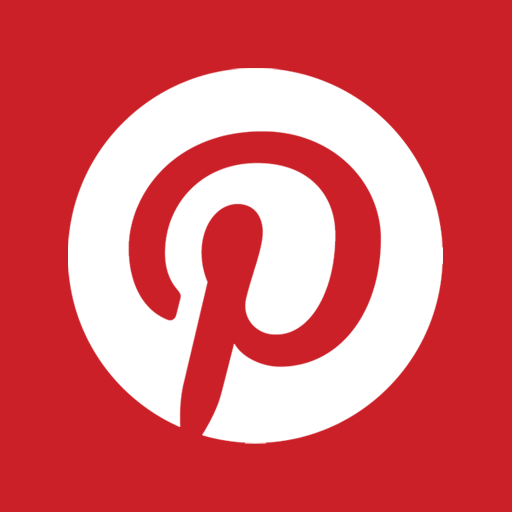 To subscribe, sign up below & VALIDATE the Feedburner email sent to your inbox. I suffered a miscarriage earlier this week, and I could use prayer. Thank you. Oh, Nikki, I'm so sorry! I'm stopping now to offer up a special prayer for God to make himself very real to you--for you to feel his comforting arms, hear his gentle voice, and know in your heart that you are not alone. That he describes himself as "a man of sorrows" tells me he knows--deep down inside--what hurt and loss feel like. This helps us to know, during dark days, that he walks with us. May you find strength in his strength. Please pray for my beloved young adult daughter, "A". She is going her own, sinful way. It's heartbreaking as her parents. It's humbling and painful. I do trust Him, and my own faith is being strengthened, day by day. Thank you. Hi. I'm Jessica. I'm seeking God for direction in this season of my life. I'm trying to wait for Him and I get so confused that it causes me to fear at times and that's when satan takes advantage. I would appreciate your prayers. You're wise to recognize that one of Satan's tricks is to confuse us. After all, his mission is to steal, kill, and destroy,and I know he often steals our peace by causing confusion. One of my favorite promises to claim when I'm facing a big decision or lifestyle change and I'm not sure what to do is James 1:5, so I'm going to pray this for you right now. Father, you promise that if anyone lacks wisdom, you'll give it to them liberally without condemning, so I pray and ask you to send Jessica your wisdom. Fill her with your peace and confidence as she trusts you and knows that perfect love casts out fear. Lead and guide her into your will and truth very soon. Amen. Thanks for the chance to pray for you, Jessica.